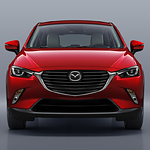 The Mazda CX-3 has received a number accolades for its safety features. It’s one of the reasons why it’s a popular subcompact SUV. 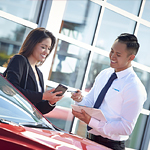 At Cascade Mazda, you can take a test drive to see the technologies firsthand. When you’re behind the wheel in Cuyahoga Falls, you want to feel safe. 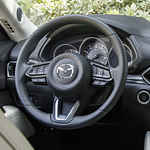 The Mazda CX-3 has advanced front air bags, side-curtain airbags with rollover protection, and more. If you have babies or toddlers in the vehicle, LATCH will ensure that their seats are secure, too. If you're looking for a hard top convertible that has plenty of great design features, then we'd like to show you the Mazda MX-5 RF. We invite you to come to Cascade Mazda and see all of the new design features that have everyone talking. The Mazda CX-9 is a popular third-row SUV that is packed with standard tech features you won’t find everywhere else. By visiting us at Cascade Mazda, we can show you what these features are to offer you more entertainment and more safety. If you want a crossover SUV that has much to offer, we recommend the Mazda CX-5. This is a popular model at Cascade Mazda because it comes with advanced features. We like to keep our consumers up-to-date about our models, so you can read further to learn about a few of the CX-5 technology features. The entire team at Cascade Mazda are excited to announce that the new Mazda3 sedan is here on the lot. These safety features are part of the reason for the growing popularity of this compact car. 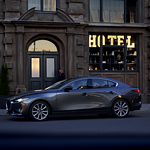 Take the new Mazda3 on the road, then you'll appreciate when the Blind Spot Information System begins working. The system is able to identify another vehicle in any of your blind spots, which in turn will result in your corresponding side mirror flashing so you know which lane to avoid until that vehicle has left the blind spot area. It’s important to be comfortable and connected in Cuyahoga Falls. The Mazda CX-3 has a lot of technology to help you with comfort, connectivity, and safety. We can’t wait to show off these features. 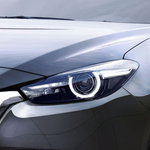 An active driving display will put all of the most important information within your line of sight. You can also benefit from MAZDA CONNECT, an infotainment system that you can sync with your smartphone. Various apps like Pandora and Aha will be at your fingertips. Plus, you can be hands-free when you make calls with Bluetooth. Make no mistake. The 2019 Mazda MX-5 Miata RF features performance enhancements that make it not only the most popular hard top convertible in today's automotive market, but also the most powerful! 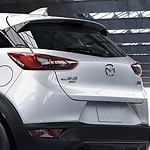 One of the more reliable brands of vehicles is the Mazda brand. You can easily find some vehicles from that brand that are durable and reliable. However, you want to get the most reliable vehicle that you can afford which can be easily achieved when you find the Mazda Pre-Owned Vehicles. Among the thoughts that need to be considered when it comes to a vehicle is the different benefits it can bring people. One vehicle that has plenty of benefits that are worth looking into is the 2018 Mazda3. This type of vehicle has a lot to offer for both the driver and the passenger. One of the best features for the Mazda3 is the blind spot monitoring. This is very helpful for people who are going to be driving around. For one thing, a lot of accidents can occur because people are not able to see all around them. 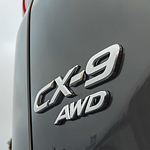 Here is why the all-new Mazda CX-5 is rated a popular crossover SUV. 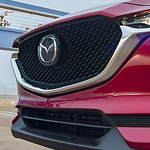 The Pre-Collision Assist system is a safety feature in the new Mazda CX-5 that uses radar technology to monitor the road and identify issues that could collide with your ride. If a car or pedestrian are spotted, you get alerts on the windshield to stop, otherwise, the vehicle brakes pre-charge to slow you down. When you drive the all-new Mazda CX-5 in reverse, the Cross-Traffic Alert feature is activated and begins to scan the road for other vehicles.